This half-day program provides the necessary knowledge in the use, care and maintenance of 30 lb. to 350 lb. fire extinguishers. 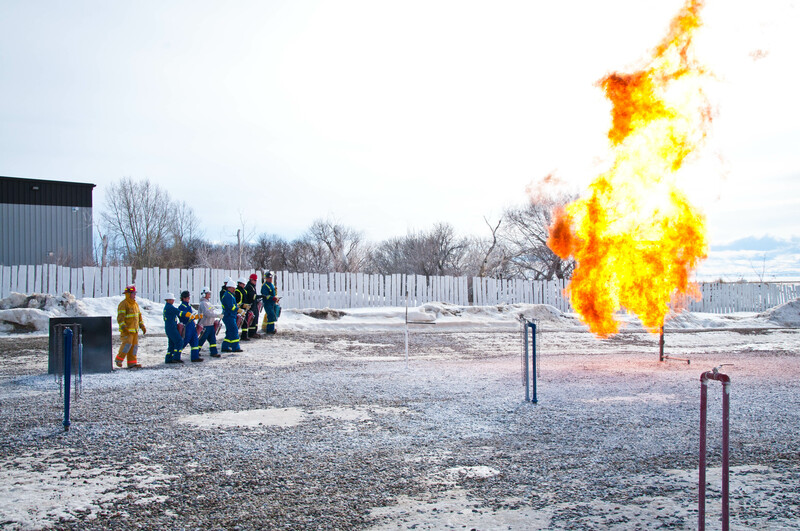 The program includes classroom theory, as well as practical training on Global's Fire Field. Successfully extinguish three fires as a team member using 30 lb. fire extinguishers. Successfully extinguish a minimum 225 sq. ft. flammable liquid in-depth, or equivalent, pressured gas fire with a 350 lb.,150lb., or 160lb sodium wheeled unit. Successfully extinguish a minimum 225 sq. ft. flammable liquid in-depth, or equivalent, pressured gas fire in a team aspect under self-contained breathing apparatus. This course has minimum standards that must be conformed to a minimum pass mark of 70% on a written competency exam and successfully extinguish the required fires.